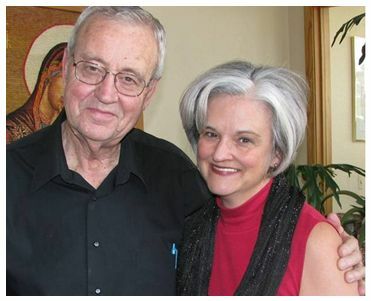 For a recent tribute to Dallas Willard, I was asked to focus on how he acted as an informal spiritual director to people. Why were so many of us able to talk with him so easily about the primary topic in spiritual direction: how they’ve been interacting with God lately or not? For example, Dallas did this with me the first time I met him. After one of his talks, I was thanking him for writing The Spirit of the Disciplines. In my earnestness to be authentic, I spoke of not trying to ingratiate myself to him. Then he made a ridiculous suggestion, saying, “Why don’t you try not affirming anyone for a while, and see what happens?” I knew this had to be wrong because encouraging people is a good thing, so I dismissed the suggestion. But as time passed, I found that each time I started to encourage someone, I listened to my motives, wondering: Is God leading me to do this? Or am I trying to get people to like me? Or look up to me? Sometimes I was truly selfless, but other times (ugh!) I secretly wanted to be loved and admired. Dallas’s suggestion became one of many steps that helped me move away from impression management. Here are a few things Dallas knew and embodied that made people willing to talk to him about their life with God. So if I, as a Bible teacher, am not living with love as the center of my life, I don’t truly haveknowledge of God. I learned from Dallas that all tasks are to be done with love: sending and receiving emails, grading papers, washing dishes. 2) Spiritual Life is Caught as Well as Taught. As a member of his advisory council, I encouraged Dallas to stay home and write, but I gave that up after seeing the dynamic effect of his presence on people as he spoke publicly. For example one of my directees who is a former lawyer retooling as a pastor, heard Dallas interviewed for 30 minutes at a conference. She commented to me: “He was the only one on the platform who wasn’t trying to prove anything.” She’d spent years of schooling and vocation trying to prove things and she recognized when someone wasn’t doing that. 3) Contours of the Spiritual Life. Dallas understood that some people need prayer and healing before attempting to do spiritual disciplines because a spiritually broken often turns spiritual disciplines into legalisms or magical formulas and then burns out. A relationship with God is an essential part of the spiritual disciplines. He also understood the corrosive nature of guilt and how it can ruin someone’s life with God. He said that guilt over not having a “quiet time” was the most frequent concern Christians talked to him about. Still another contour of the spiritual life he understood was that the first freedom you have is where you put your mind. He addressed this by knowing Scripture by heart. He didn’t merely memorize it, he took it into himself. It surprised us sometimes how naturally it flowed from him. Finally, Dallas understood the role of the body in spiritual life. In Renovation of the Heart he suggested an annual dedication of the body. Arrogance “lives” in parts of our body and we need to address it directly. His own posture of walking with his hands behind his back was infectious in its peacefulness and humility. Many of us unconsciously copied him in this. One friend said that after he returned from the Fuller class he had begun doing it so much, that once when he got irritated his son said to him, “Dad, put your hands behind your back and you’ll be OK.” And he was. In all of this, Dallas never directed people to himself but always to Jesus. That’s why we trusted him implicitly and still do. (A more complete version with notes is posted on JanJohnson.comunder Articles.